Work on your Novel Critique (1 paragraph) about the strength and enduring meanings about your book. 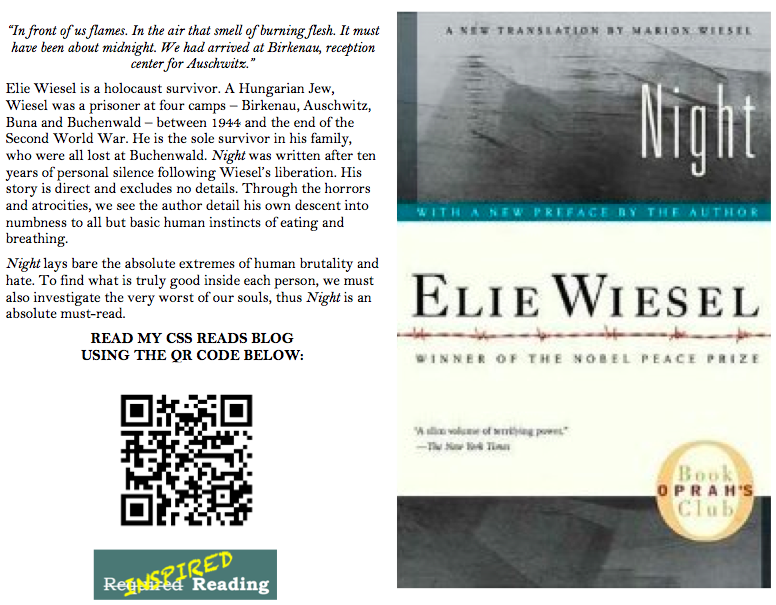 On the back cover, paste in your synopsis and a QR code that links to your blog. What is the "big message" that your novel puts forward? How well does the author develop this theme through the entire novel? Is the message a strong one? Are there a few particularly important events, characters or quotes that emphasize the message? An enduring meaning is an element of the novel that causes readers to stop and think, to ask questions and to connect the themes of the book to their own lives. What enduring meanings does your novel put forward? How are they relevant for grade 9 students? 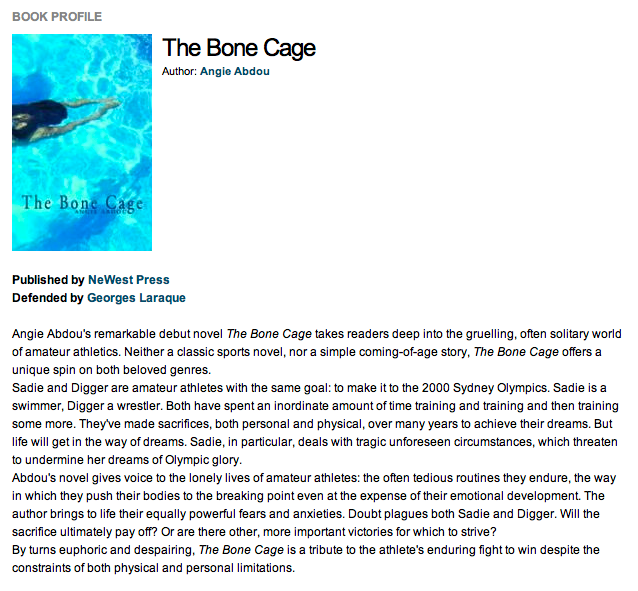 This review of Angie Abdou's The Bone Cage, a finalist from Canada Reads 2011, highlights the elements that your synopsis should include (click on the image to visit the full page). You don't want to give away what happens in the book, but you do need to "hook" potential readers into choosing your novel for round 2 of CSS Reads.